I just came back from Creativation 2019 in Phoenix, AZ yesterday with jam packed ideas and inspirations. I got to meet lots of crafty friends there and enjoyed every single minute! If you will have a chance to attend the Creativation next year, you will be completely wowed! 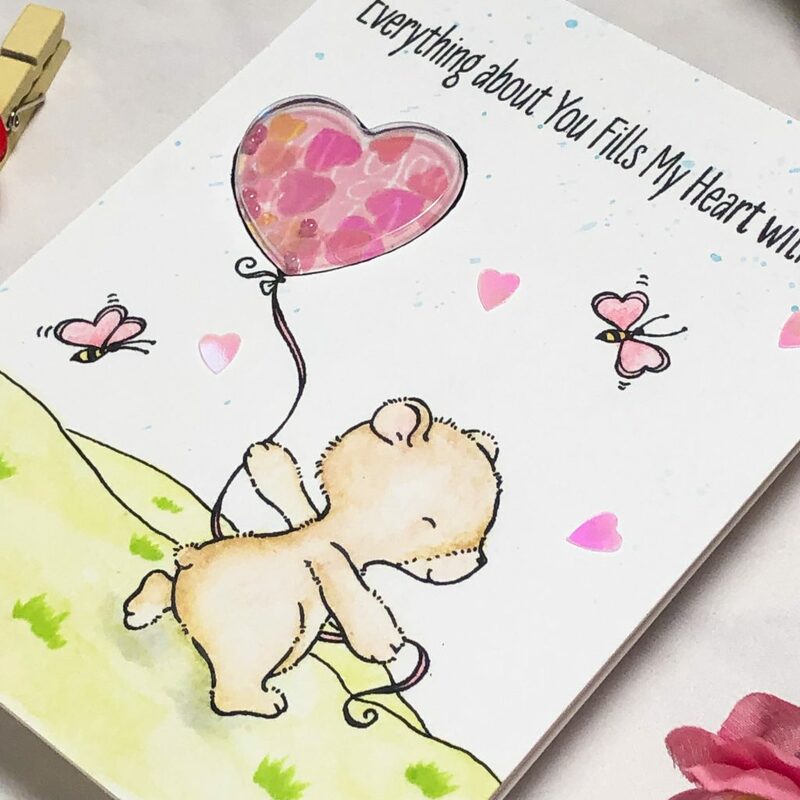 Today I want to show you a card that I made using products from My Favorite Things Heart Art Card Kit combined with My Favorite Things Joyful Heart Bears Stamp set. I always adore Stacey Yacula’s illustrations and somehow never get my hands on them. I am so glad I could try use color some SY images this time. Stacey’s illustrations suits storybook style coloring very well so I decided to give it a try. 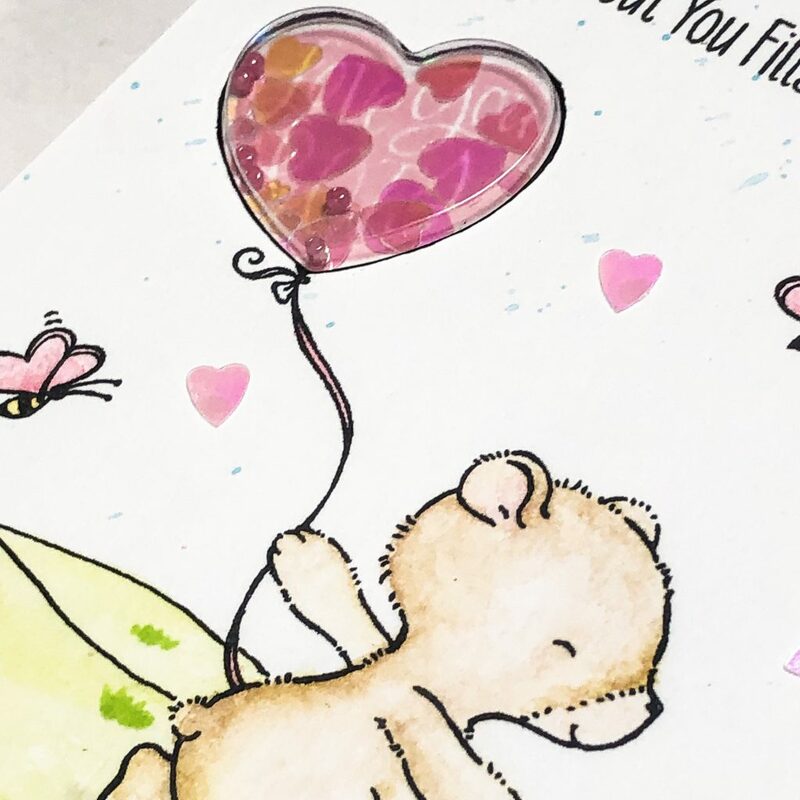 To start this card, I stamped the bear holding heart balloon image from Joyful Heart Bears Stamp set using Versafine Oynx black ink onto an A2 sized watercolor paper, I also stamped the accessory bees and sentiment from the same stamp set. In case you didn’t pay attention, those bees have heart shaped wings which are stinking cute! After the ink dried, I hand drew the hill using an archival ink pen for the bear to stand on.I colored all images with zig clean color real brush markers and created some grass with copic markers. I splattered some light blue ink over white portion of the background to make it more interesting. Instead of coloring the balloon, I cut the balloon part with Mini Heart Shaker W&F die to create an opening, then I cut one heart pouch from Heart Trio Shaker Pouches (Each piece comes with 3 heart pouches connected but it was very easy to cut with the scissors) For making the background of the balloon, I stamped an image from Heart Art Stamp set with a light pink dye ink onto the white card base. In order to make it match, I used the heart opening as a guide when I stamp it. I attached the pouch by popping it from back side of heart window and added some glue to establish it. I poured some Pretty Pink Posh Iridecent Heart confettis to the pouch and closed it with some more glue. I also attached a few heart onto the background as embellishments. 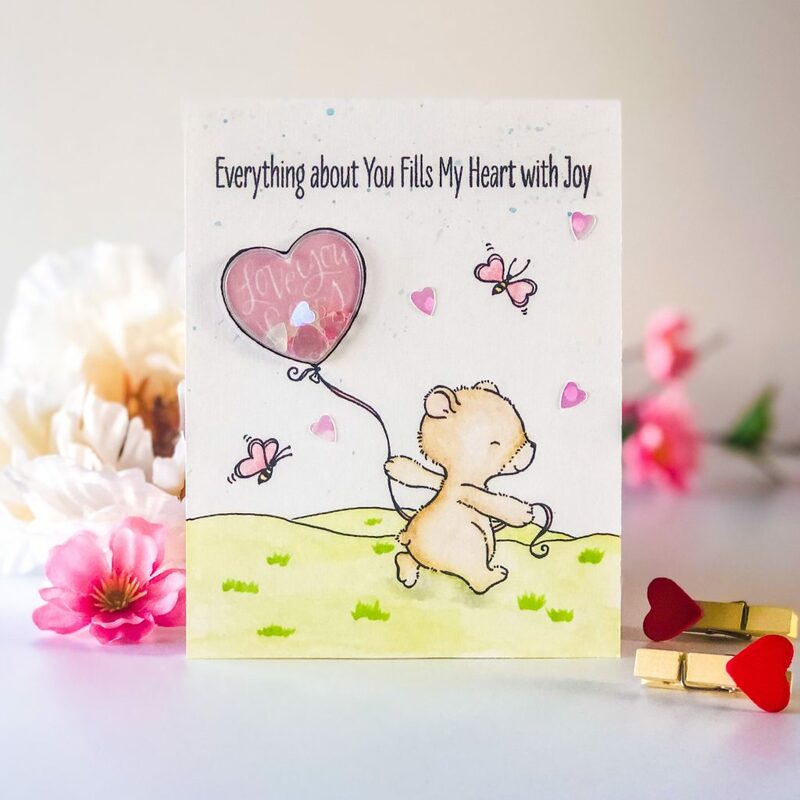 Hope this card melts your heart! 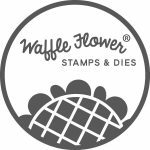 Be sure to check out all the products HERE! Have a beautiful day! 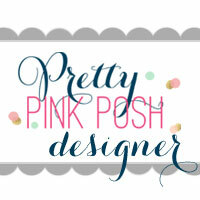 This entry was posted in Cards and tagged Card kit, My favorite things.